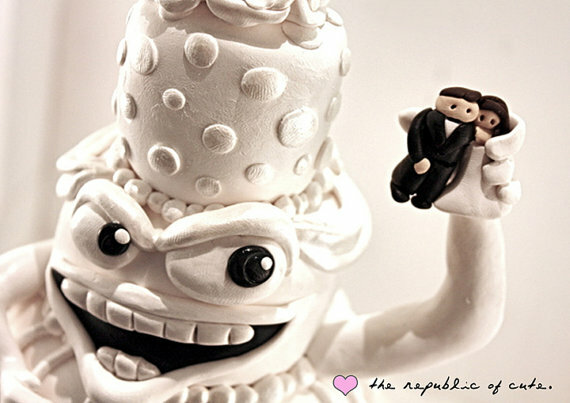 “Cakezilla” is definitely the funniest cake toppers we’ve ever seen and our favorite by The Republic of Cute. Was your first date at the movie theater? Love to see the newest movie when it premieres? 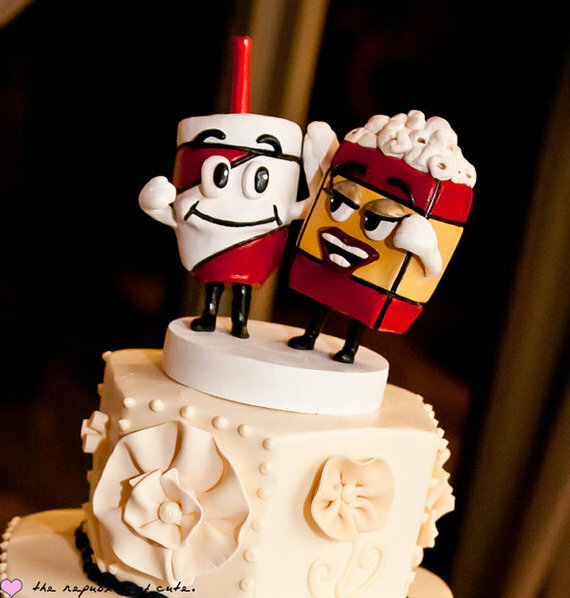 Planning a movie themed wedding? 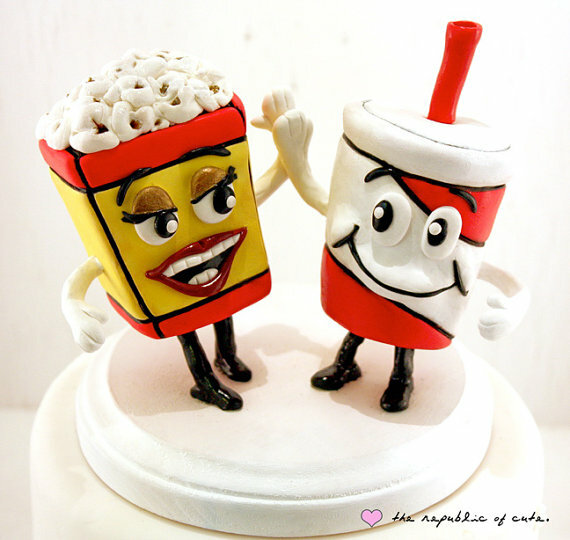 These cake toppers are perfect and feature a popcorn and pop for the bride and groom. 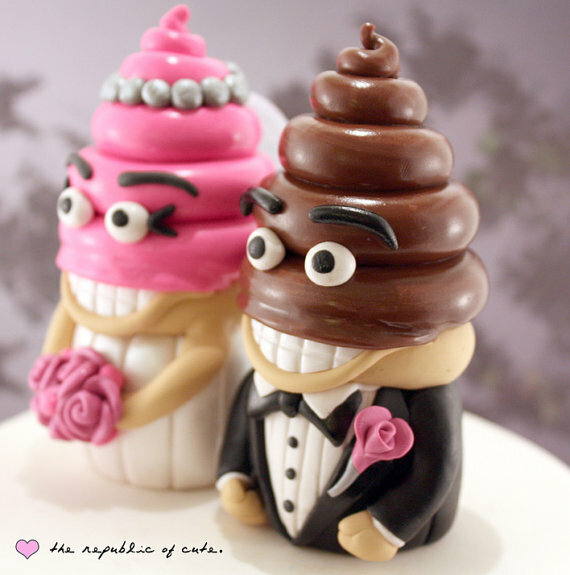 RELATED: Do You NEED a Cake Server? 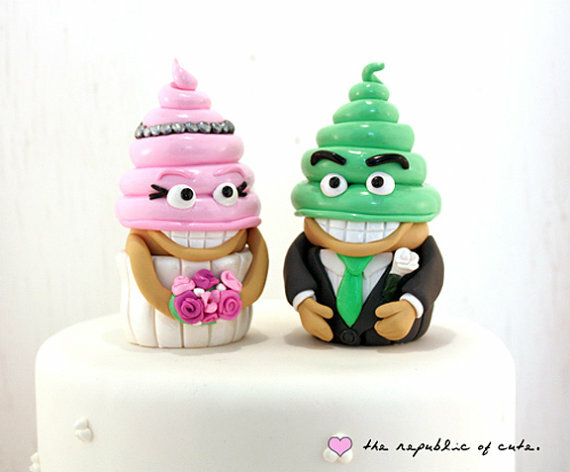 If you’re planning cupcakes in lieu of traditional wedding cake, this cupcake themed bride and groom is perfect! 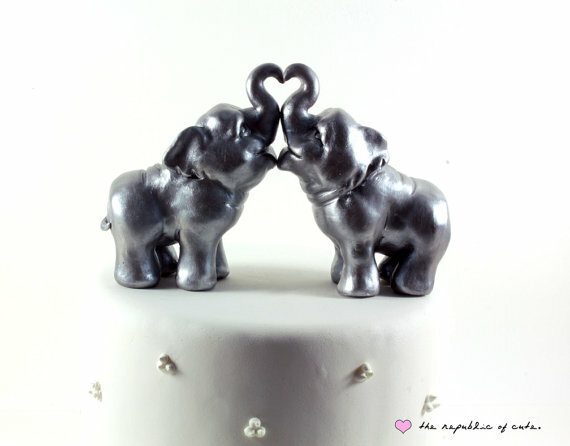 Can also be used as a cake topper atop any cake you select. 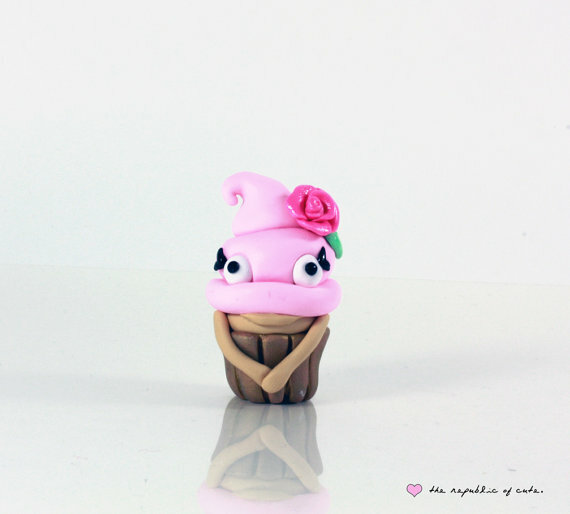 We also spotted these mini cupcake figurines by The Republic of Cute. 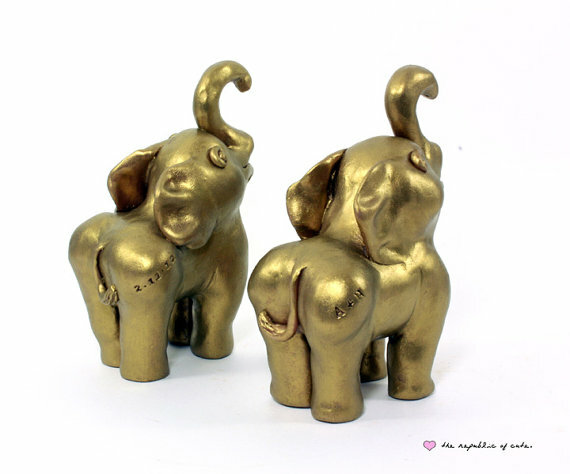 Wouldn’t these be cute for the bridal party? 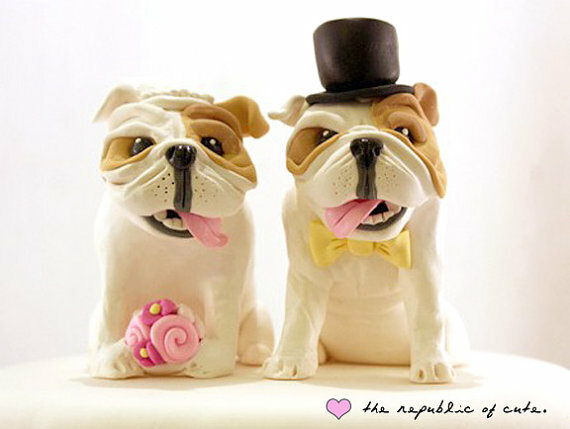 To see more quirky cake toppers, check out The Republic of Cute. 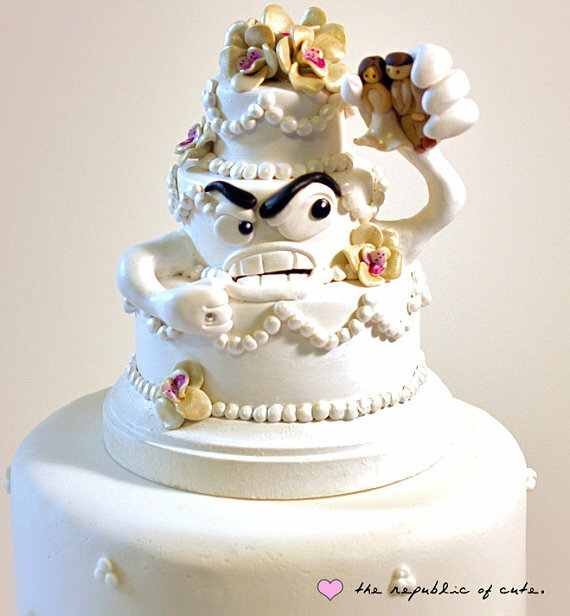 Tell ’em Emmaline Bride sent you! 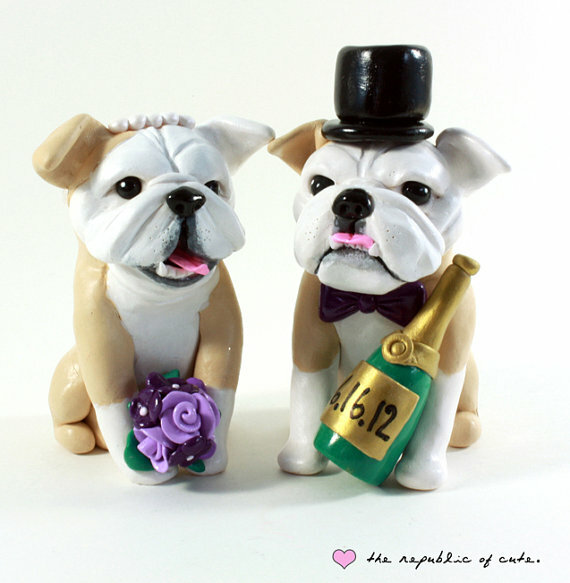 There’s more handmade wedding inspiration coming right up! Grab another cup of coffee (I’m sipping on Michigan Cherry coffee, a favorite!) and come back soon! Or, better yet, sign up for FREE updates straight to your inbox so you never miss a beat! 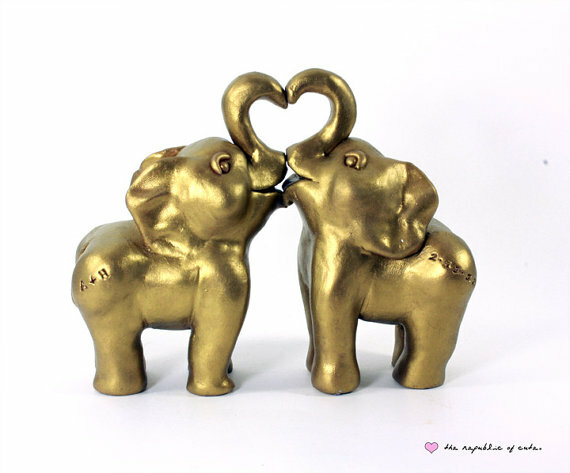 What is the cost of the elephants kissing? my daughter is interested in them. 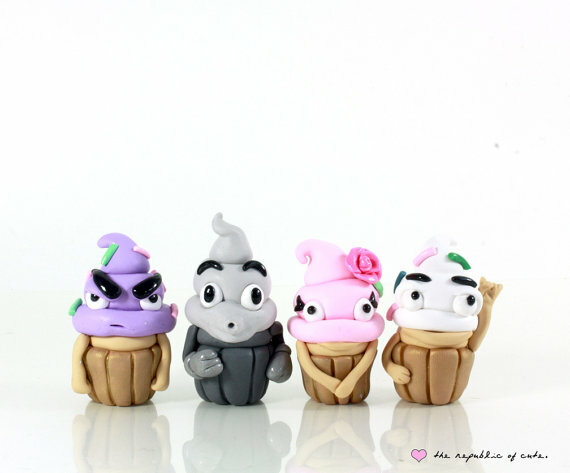 Wow~~~So cuteeee and fun!! !I really love the first one!! !How did it do? So talented!! !I believe it can be the second eyecatching spotlight! !